Screenshot of where to find the checkbox to install WinDbg from withing the Debugger Tools for Windows installer. 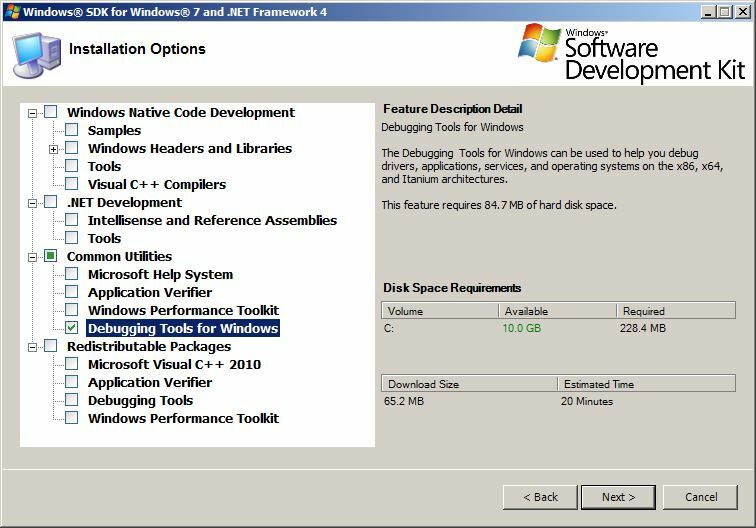 current 2014-07-03T03:10:15 756 × 528 (82 KB) Philipz (talk | contribs) Screenshot of where to find the checkbox to install WinDbg from withing the Debugger Tools for Windows installer. This page was last edited 03:10:17, 2014-07-03 by Yousuf Philips.